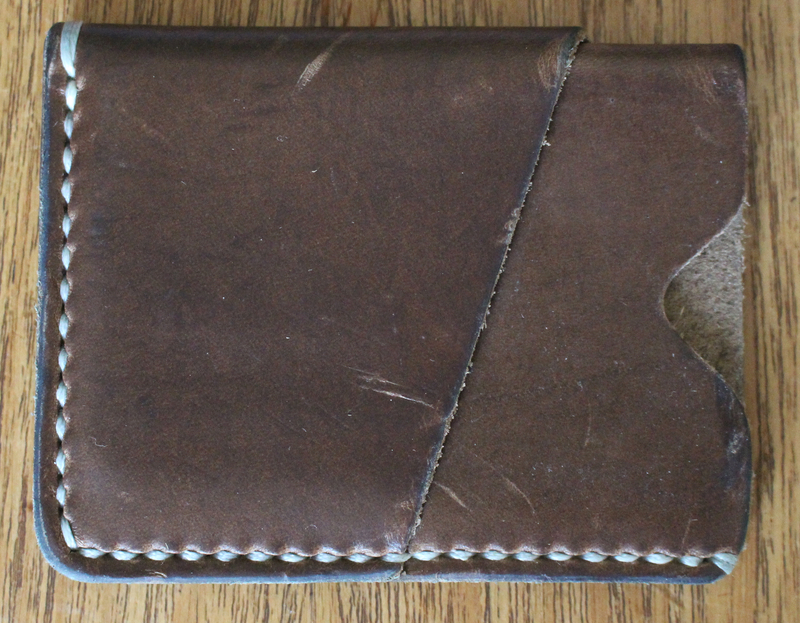 Leather wallets: Two more variants for your consideration - Well Dressed Dad - It is a proper menswear blog. Like, with original words and opinions and suchlike. A while back I posted a review of the Minimum Squared wallet, an innovative design (and incidentally it has won a design award since I wrote about it). Today I’m taking a look at two more variants I have been using recently. 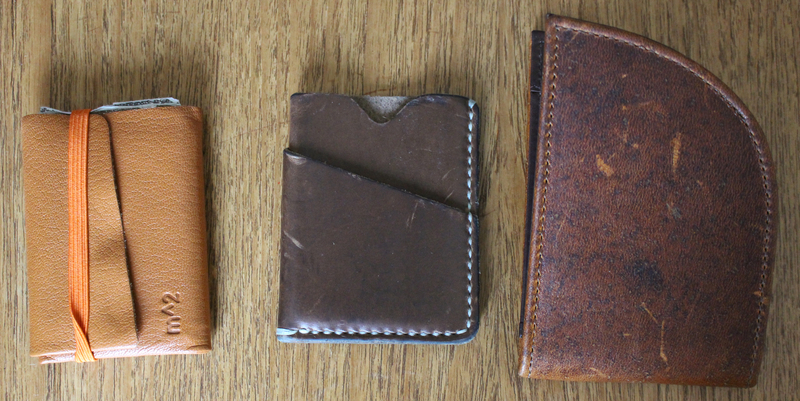 One is a very traditional type of cardholder, the other one with some added different. Oh, and while the M^2 wallet made in Spain, todays are made in Canada and the USA. 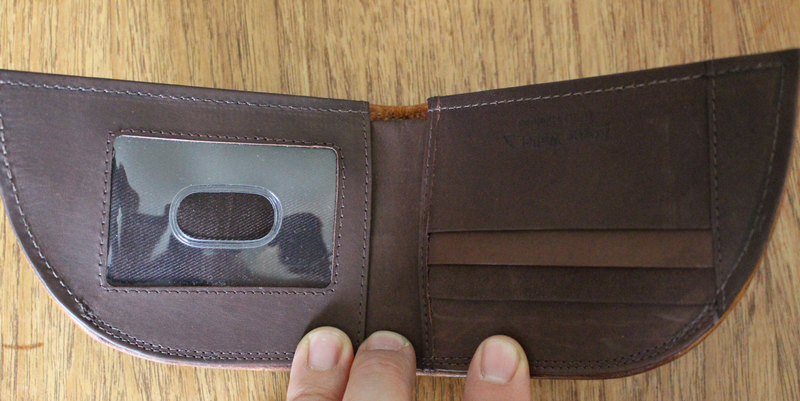 A card holder is the minimalist variant of a wallet. In this case it consists of 2 pieces of differently cut leather, sewn together with exactly enough stitches. This then provides one space in the centre and one longer one that goes round the centre. Just the ticket for a few cards and a few notes. 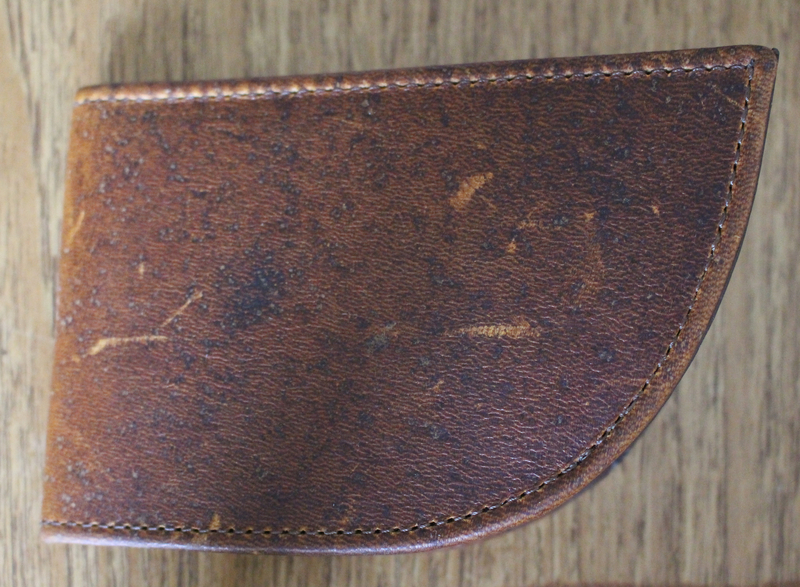 The chromexcel leather has been treated with tallow and wax and the edges are burnished and polished. The seams are saddle stitched by hand. Size wise it’s just a little larger than a regular card, to it slips nicely into the pocket, and once you fish it out you have immediate access to what you are after. I find this works very well. It’s reasonably priced as well, at $35 USD. If the Popov was minimalist, the Rogue is something of the opposite. 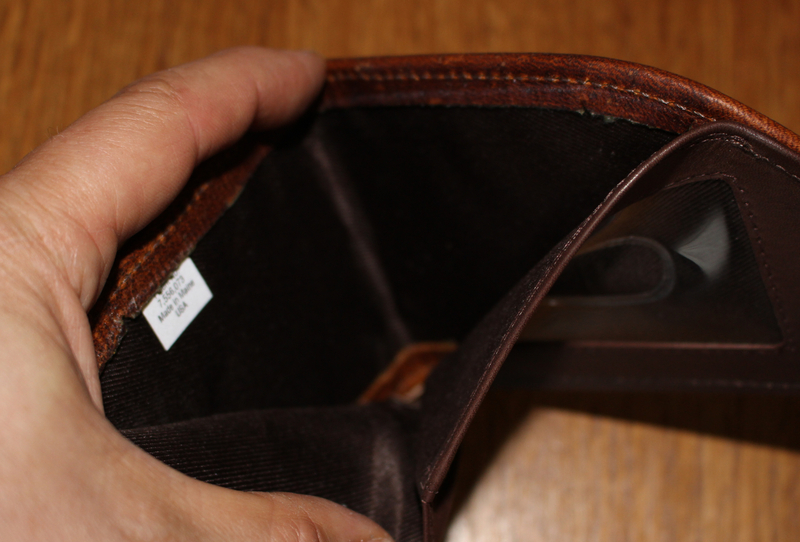 One immediate difference is the shape and size of the wallet. It’s almost twice the size, and what is the deal with the curved edge? 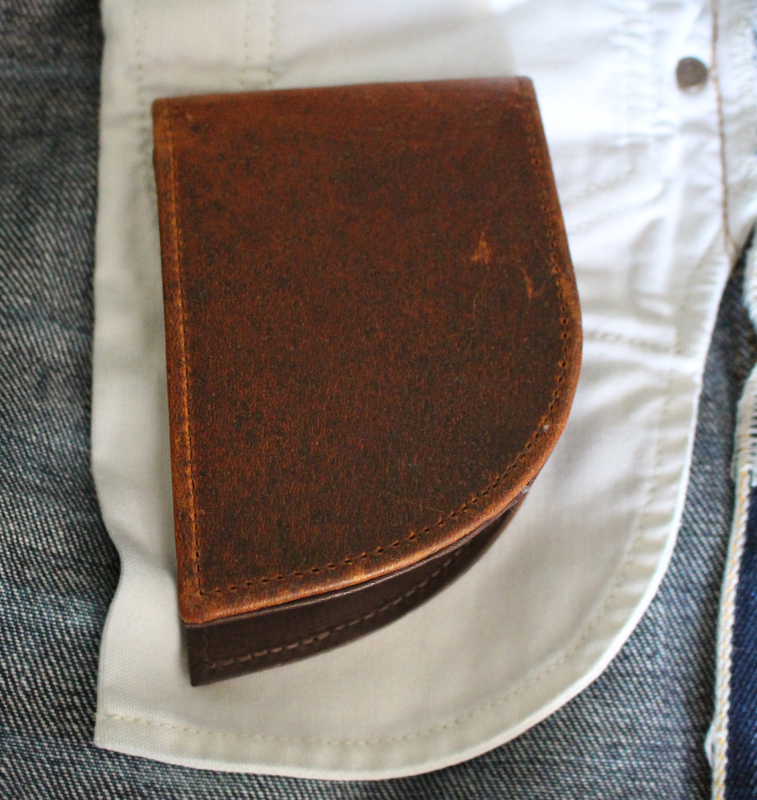 Well, the intention is that it will fit deeper in a curved pocket, which did strike me as a clever idea. We’ll return to that. The wallet has 3 slots for cards, plus one slot with a window, plus one hidden behind the 3 visible ones, and a room for bills. The second special feature is that if has RFID protection. That means that if you have cards that are readable from a distance by compatible devices, this wallet will protect them from this. Oh, it’s also made in Maine, USA and the leather is said to be Maine moose. Looking at the construction, it’s well put together, nicely machine stitched and the materials appear to be of good quality. The inside is a different leather form the outside and the large room for bills is lined with a different fabric. The RFID-blocking material is layered somewhere in there. So far, so good. I ran into a problem with the curve though, as it turned out very few of my trousers actually have a curved pocket. When I did match it up it did make some sense though, although the wallet itself is quite large and stiff and didn’t sit well against my thigh. I imagine it may losen up a bit over time. The second issue I had with the curve was that it makes the opening for the bills a bit strange, as the inside space is longer than the opening. Again, not a huge problem, and the price for being different, I guess. Being of a nerdy disposition I was interested to test the RFID blocking capabilities, but was unable to find an available iPhone app that could do so (the phone itself can), and looking around, I don’t think I have any cards that actually have an RFID chip in them, so my intended research was likely moot anyhow. Available in various leather variations (and even a tweed) at 30 USD and up. A bonus extra! Given that I’m writing this while staying with my parents, and have the two wallets with me, I asked my style and quality-conscious father for his opinion. He thought the Popov very clever, will work well over time and is very solidly made. The Rogue Industry appears cumbersome and the leather not so nice He did appreciate that each card could sit seperately, but did note that the wallet doesn’t lay flat. How often do you get a multi-generational review, eh? 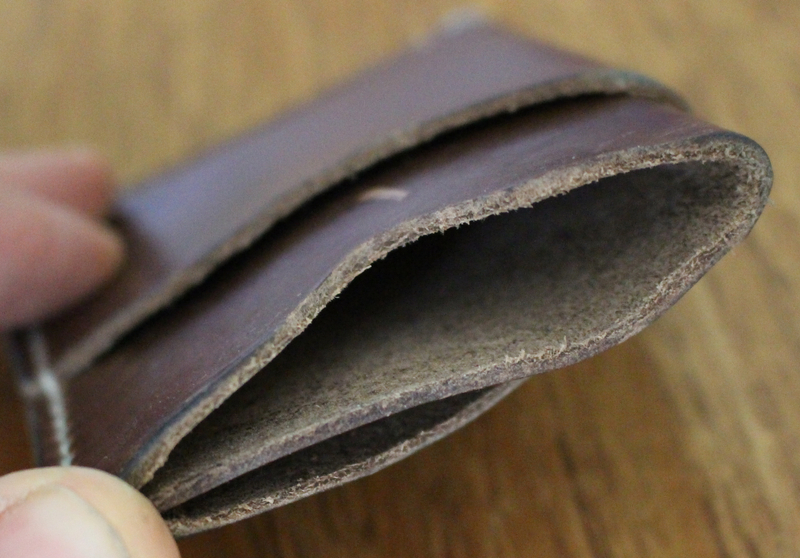 I was really happy with a minimalist wallet that I got from Wingback in London, but it turns out that having the corners of the cards exposed all the time leads to them de-laminating and falling apart. I am now very happy with a Bellroy minimalist offering. Dumb question, perhaps, but what do you do with your coins? And that little bundle of reciepts which seems to breed in my wallet? Quite rarely have any coins these days! Receipts I stuff in a draw or the bin. very stylish and versatile !! !